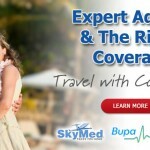 An international major medical health insurance policy is vital to making sure your medical expenses will be paid in case of catastrophic illness or emergency while living abroad. However, how do you decide which is better: A low deductible with a high premium or a high deductible with a low premium? Well, that depends on your ability to pay up front. Your deductible is typically determined by the amount of premium you pay monthly for your insurance policy. A policy with a higher deductible will typically have a lower monthly insurance premium because a policy holder will have to pay more up front in order for the full insurance benefits to kick in. 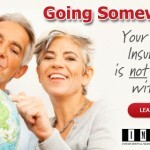 A low deductible plan will often have high insurance premiums to pay monthly. Resist the temptation to lower your premium by selecting a plan that cuts major benefit categories. There are no bargains in health insurance. An insurance company capable enough to cover the policy holder’s medical needs has to collect enough money to do that. The only safe way to lower your premium is to get a plan with a higher deductible. Instead, lower your premium by opting for a higher deductible (say $5,000 rather than $2,500), a higher out-of-pocket limit (say $20,000 rather than $10,000), or both. Although this mean that in years when you’re healthy, you might get little or no benefit from your policy, it is vital protection against financial catastrophe in the years with high medical bills. To offset the high deductible, open a savings account specifically to cover your medical deductible along with any missed income due to illness or accident. Also, to decrease your premium, annual payments as opposed to monthly payments can save you almost 2 full months of premium as monthly payments typically have administrative fees tacked on.